Custom Built (Steve Arrington) Brick 4BR/3.5 Bath HOME directly across from BEDFORD HOSPITAL, tucked privately out of sight! 3.59 inviting acres w/ country feel, yet in town, mature trees w/stream & long paved drive. Great family &/or extended family HOME w/plenty of space to expand! Be greeted by rich, Oak Floors, Crown Molding, MAIN FLOOR MASTER & additional Main Floor Bedroom/Nursery/Office w/ Bath. 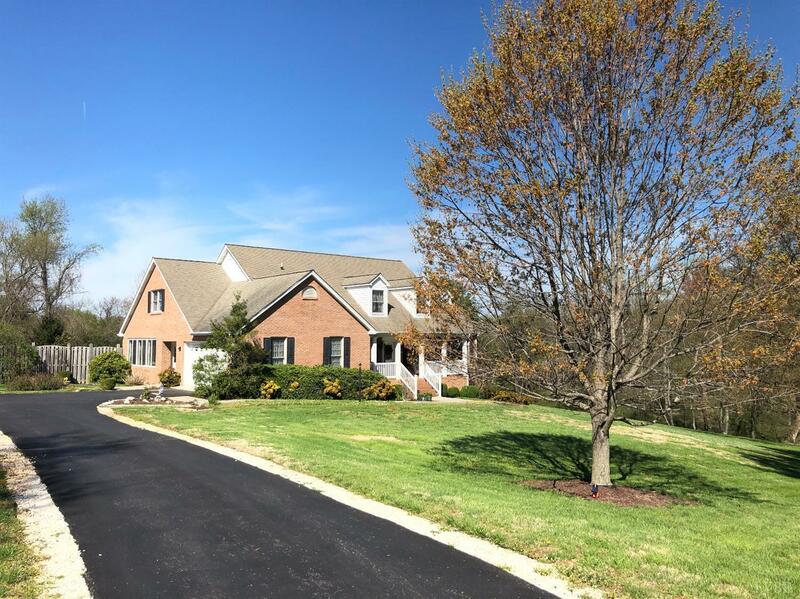 Great to Entertain family & friends, enjoying MAIN FLOOR LIVING, including Dining Room, Great Room, SUN ROOM w/heat & AC, Kitchen w/newly delivered Stainless appliances(Pics soon)gorgeous Sunburst window, informal Kitchen Dining Area w/Bay Window overlooking garden w/flowers & trees. Two cheerful 2nd floor Bedrooms with dormers & new, neutral, stylish carpet & Hall Bath w/HUGE ATTIC STORAGE & UNFINISHED BONUS ROOM, (easy to add Bath.) Large Basement, w/Family Room/Man Cave & Office w/ private sidewalk entrance, could be 5th B.Rm., 1/2 bath, roughed in for shower. HUGE WORKSHOP & STORAGE.